Dover, DE, October 10, 2018 — Dr. Hua Ma from Air Force University of Engineering, People’s Republic of China is a Professor of Physics and also a doctoral supervisor in Physical Electronics explains why the universe has three large spatial dimensions. He contributed a lot to the scientific community. Have ever wondered that why we live in a world of three dimensions, why it is not four or five dimensions or even more? This question is being asked from ancient Greece times, but still scientists are puzzling over this to give a better explanation. This question is not only related to physics, but also linked with many other subjects like mathematics, chemistry and even religions too. Dr. Hua Ma came with a better explanation that why the universe has three large spatial dimensions. A lot of researchers from the field of science and philosophy have done an extensive research regarding the three-dimensional nature of space. Dr. Hua Ma used used an example in his research for the physical model of the universe dimensionality. With his example, this is the first time, the concept of three dimensions arises, as to optimize the physical quantity using basic principles. This research has been published in American Journal of Modern Physics which is also funded by National Natural Science Foundation of China (Grants No. 61331005), and the Innovation Team of Shaanxi province (Grant No. 2014KCT-05). With his research, Dr. Hua Ma, has concluded that, if vector space is having the following symmetry, orthogonality, homogeneity and completeness, it should have three dimensions having the energy obeys the law of conservation and the dynamics law is ruled by the covariance principle and hence we can define the cross product in the space. Our space also follows the above constraints and requires the same. So, the final spatial dimension equation with above constraints is three, thus our universe space dimension is three. 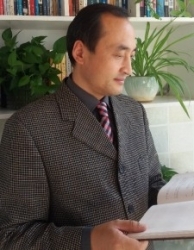 With his research, Dr. Hua Ma, first explained why our space is three dimensional and then, he has drawn a conclusion that the physical field must have two patters which will be very useful for the study of another physical field. Finally, he found that there is a self-consistency between covariance principle, space-time symmetries and tensor forms which has lead to axiomatic system of modern physics. From his research, Dr. Hua Ma has concluded that, our space is a three dimensional and it is a universally accepted fact and there is no physical explanation to prove this. However, based on the accepted physical principles, he has given a theoretical explanation of why the universe has three large spatial dimensions.